You are happy and you know it. You appreciate everything you have just a little more with less focus on what you don’t have. You smile and laugh. Miraculously other peoples ignorance, anger, or unhappiness isn’t able to take hold of you either. It may be the ultimate stoner superpower. When you are content, those around you tend to be too! You are just an all around friendlier person after you get your head right. We know weed can bring people together, and it can relax those with social anxieties. Less overthinking. More saying hello to strangers. This can certainly be life changing. You spend less time worried about your appearance and more about being a better person. When you are less concerned about what people think of you, it can be liberating and infectious to those around you. You can use that newfound energy to do other things like volunteering, making new friends, and trying new experiences. Shine on! Whether it’s painting, writing, photography, or cooking. Your craft is at its best when you are stoned. You have new ideas, take risks, and let go. This frees you up to create instead of thinking too much. You will likely have more fun with it too. Your bedroom is your sanctuary. You may even have twinkle lights hanging. It seems right to spend a full eight (or more) hours sleeping each night if you can. After all, without good sleep, we wouldn’t be able to wake and bake properly. Whether you are dealing with chronic pain, usual aches and pains, migraines, emotional pain, or grief. You feel better after getting high. You have a healthy appetite and are able to focus on something other than feeling bad. There is no substitute for that relief. You share your love of weed with others. It’s your mission to let others know how life changing it is and is the first thing you suggest when someone is sad or stressed out. You often wonder how anyone can live without it. You are so content with how you feel when you’re high that you no longer want to drink. Mixing the two can certainly kill the good vibes. It’s a beautiful thing to say goodbye to the spins, sad toilet vomiting, and killer hangovers. -Let’s keep spreading the word about the benefits of cannabis. It’s clear we are on the right track! Let me know in comments what your other stoner superpowers are. Many weed smokers swear by a few hits before bed to send them peacefully into dreamland. It works like a charm. Do we dream less because of it? There are two main types of sleep. The first is Non Rapid Eye Movement (NREM) which is considered a quiet sleep. The second is Rapid Eye Movement (REM) which is active sleep. Within these two types, there are four stages we all go through each time we slumber. NREM Stage 1: Beginning of the cycle. Slow brain waves. Lasts about 5-10 minutes. NREM Stage 2: Body temperature drops. Bursts of brain wave activity occur. Lasts about 20 minutes. NREM Stage 3: Less responsive. Muscles relax. Blood pressure and breathing rate drop. Deepest sleep occurs during this stage. REM Stage 4: Brain becomes more active. Body is relaxed and immobilized. Eyes move rapidly. Dreams occur. An estimated 20% of sleep time is spent in this stage. There is evidence that marijuana can interfere with REM sleep. Feinberg, et al (1975) compared sleep patterns of experienced marijuana users on THC vs placebo. Feinberg, et al. (1975) concluded reduced rapid eye movement activity and less REM sleep in the THC users. Alternatively, the same study shows that THC withdrawal can increase REM activity. It’s official; weed can affect our dreams. We can certainly fall asleep quickly under the influence, but in turn have reduced activity during REM sleep which reduces our chance of vivid dreams. While those withdrawing from THC can have more active REM sleep, and more vivid dreams. I now find myself analyzing my own sleep and dreams. I smoke daily, especially at night. I suppose I don’t dream as often as I used to. Or at least I don’t recall those dreams. The trade off here is that being high (while awake) can be similar to a dream state. While I don’t hallucinate, I am relaxed and hazy. Two of my favorite feelings. Do you dream more or less after smoking? Do you have any reoccurring dreams while high? I’d love to hear from you in the comments section below. Feinberg, I., Jones, R, Walker JM, Cavness, C, March, J. (1975). 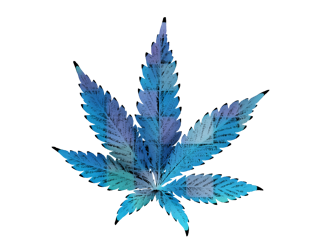 Effects of high dosage delta-9-tetrahydrocannabinol on sleep patterns in man. Clin Parmacol Ther. 1975; 17(4):458-66. Green Mart Dispensary- First things first. Weed. This lovely dispensary is located in Beaverton (not far from downtown) and is a dream come true. Their selection is fantastic. Their staff is the best. You can’t go wrong. If you are looking for an affordable edible, ask for the sea salt caramel. They also have cheap pre-rolls in 4 packs. OMSI- The Oregon Museum of Science & Industry. Most people think this is a place for kids. Wrong. You can certainly go through the museum but the real fun comes later in the evening with their OmniMax movies and laser light shows. The starry nights show in the planetarium is amazing. Or if you are into Pink Floyd, there is a laser light show to The Dark Side of the Moon on Friday and Saturday nights. EPIC! You’ll find yourself amongst friends. Kennedy School McMenamins- This is my happy place. It’s an old elementary school converted into a unique hotel, bar, and theatre. They also have a soaking pool and a little gift shop. The walls are lined with bizarre art and the ceilings are full of eclectic lamps. They have several restaurants and bars to choose from. Some are small and intimate, others are busy and full of life. There is a beautiful outdoor courtyard lined with twinkle lights. If you are into beer, this is your place. Be sure to try the cajun tater tots. You can also catch a movie at the funky theatre, where you can drink and eat inside. Heaven on earth. Oaks Amusement Park- If you are traveling in a group, this would be a fun adventure. It’s a older amusement park that still holds a lot of charm. Rides, slides, carnival games, miniature golf, and you can even go roller skating. Their is a place to picnic with food and drink available. The area is beautiful, right along the Willamette River. Don’t forget a snow cone! Beyond Bizarre Ghost Tours- If you are at all interested (or curious) about paranormal activity, this is your jam. I had a friend drag me along to this and secretly loved every spooky second. It’s a walking tour so it’s very relaxed. The highlight is when you go underground and use professional equipment to locate a known ghost of the area. A lot of fun to be had. Be sure to book ahead online. Food Carts- Every city has food carts, but we have a whole block downtown. If you love to eat, this is where you need to be. Walk around first to scope out all the different cuisines and then everyone in your group can eat what they want. They have tables on the sidewalks, but its fun to head across the street to Pioneer Courthouse square and people watch while eating. Glowing Greens Miniature Golf- This is an indoor blacklight, 3D, animated, miniature golf course. It takes about an hour to walk through the pirate themed mayhem. There are two locations; Beaverton & Portland. They also have arcade games so bring quarters! Portland Spirit River Cruise- So. Much. Fun. This one is on the spendy side but it’s so worth it. They have a few different types of river cruises available. I’ve done the dinner cruise several times now. You have a three course meal on a gorgeous boat, then head up on the deck to enjoy the sights. It made me feel like a stoner princess. They also have a lunch, brunch, and sightseeing cruises. If you are really adventurous, there is a jetboat ride that I’ve been told is a blast in the summer.